Notes: Flowering profusely in winter and spring these African natives are extraordinary! Plant in pots and place in rock gardens or any sunny area where a bright splash of color is desired. Only a LIGHT application of fertilizer and MINIMAL WATER is needed. 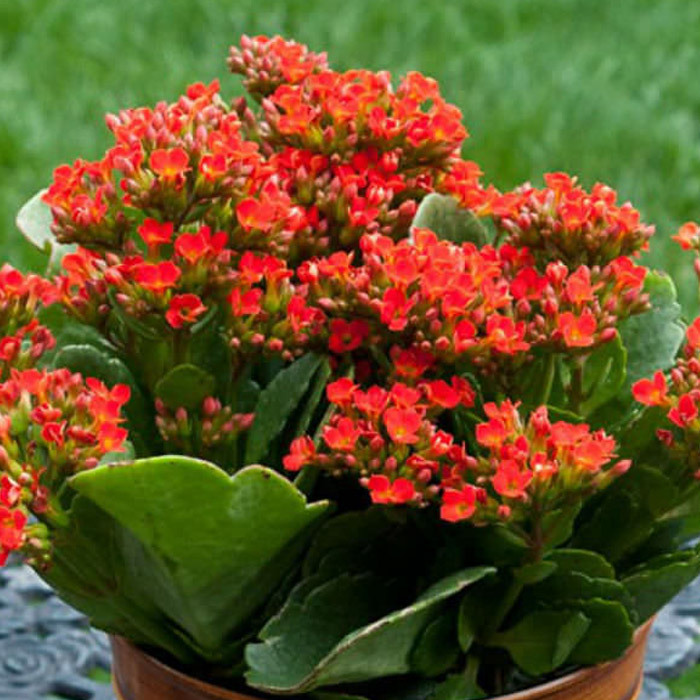 The great range of Kalanchoe provides inspiration, and endless ideas. Flowers last for weeks and weeks on these easy to grow, low maintenance, bright colored succulent perennials. Protect during frost and freeze.